I used standard Cisco router image to simulate R1 and PC1 and PC2 I only changed the icon on PC1 and PC2. Full configs are at the bottom. 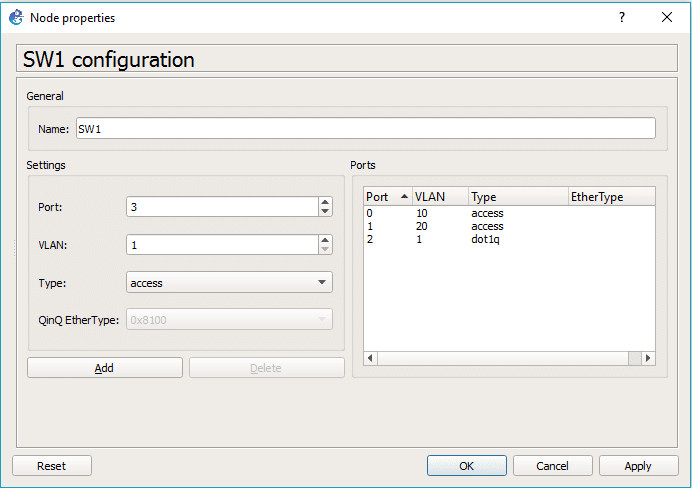 I configured the router-on-the-stick making the simplest topology with trunk between the switch and the R1 and two VLANs on the SWITCH. Switch config is also at the bottom. Download GNS3 lab from this article here.